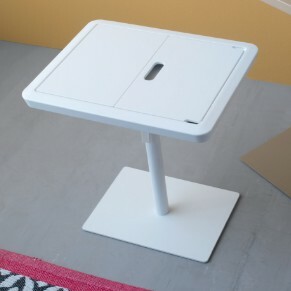 Tablet table with a PVC top and sand or white matt lacquered metal base. 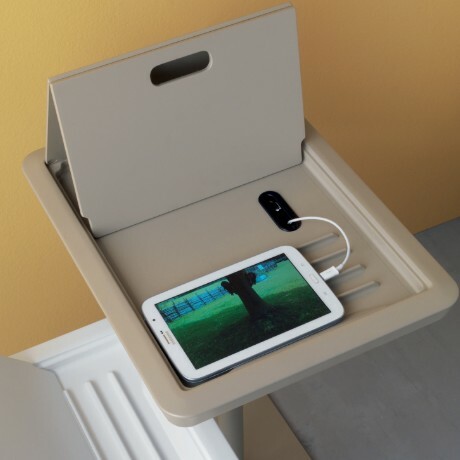 Openable modular top for tablet support with passage for cable charger. Adjustable height.